The Upper East Side has played a major role in film and television. 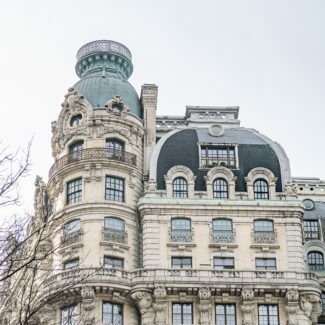 This upscale neighborhood was home to Carrie Bradshaw, Blair Waldorf, and Holly Golightly! It is a place where visitors can surround themselves with art, culture, and shopping. 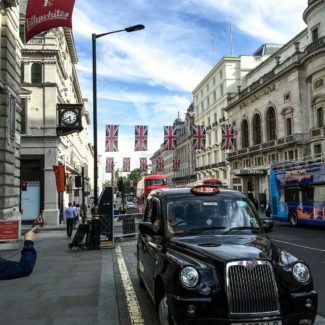 It’s one of the places that is just as glamorous in real life as it in on screen. 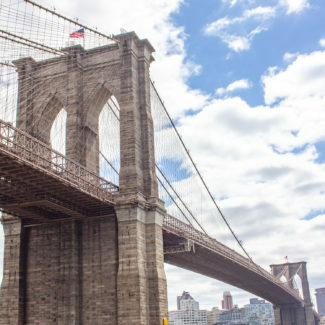 I attended graduate school on the Upper East Side, and I am excited to share my guide of what to do on the Upper East Side with you! 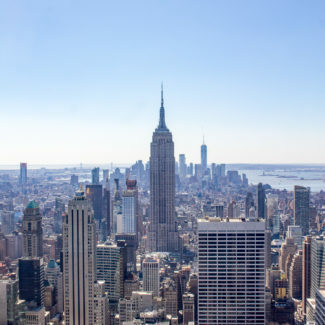 The Upper East Side is known for it’s world renown museums, most of which are located on Museum Mile, which stretches along 5th Avenue from 82nd Street to 104th Street. The Met is one of the greatest museums in the world, and the ideal place to get lost on a cold or rainy day. The massive museum has galleries devoted to art from all over the world spanning 5,000 years of history. You can view works by artists including Salvador Dali, Jackson Pollock, Georgia O’Keeffe, Pablo Picasso, Gustav Klimt, Edward Hopper, Claude Monet, Mary Cassatt, Johannes Vermeer, and Vincent Van Gogh. In the spring you can see a blockbuster fashion exhibition that coincides with The Met Gala. 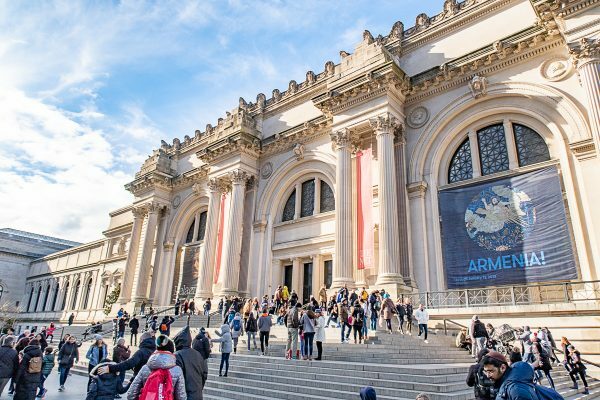 The Met is home of an exceptional collection of American Art including portraits by John Singer Sargent, American furniture, and Tiffany glass. It is also where you can find the epic painting of Washington Crossing the Delaware by Emanuel Leutze, the massive scale combined with the historical subject matter will take your breath away. What to know before you go: save time and skip the line at the ticket counter and buy tickets at a kiosk. I recommend leaving your coat at home since the coat check line can be quite long. 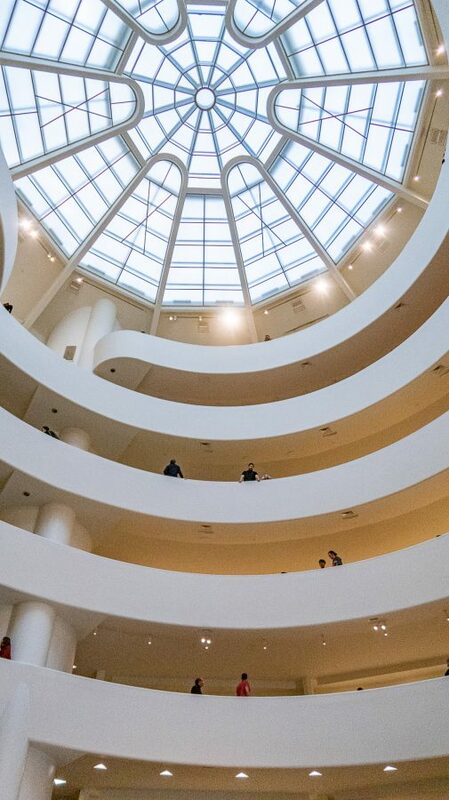 The Guggenheim’s main focus is on its special exhibitions which are displayed in the winding circular path that follows the circumference of the building. The permanent collection is displayed in rooms off to the side. 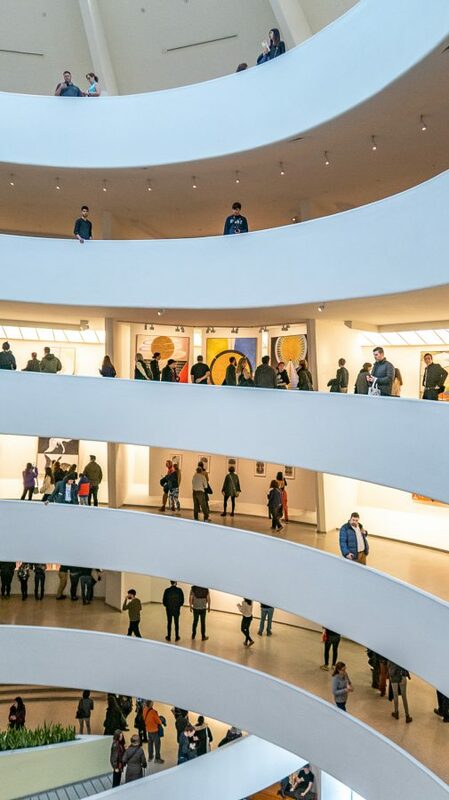 You go to The Guggenheim to see the special exhibition, the permanent collection is small, yet a nice bonus to the museum experience. When I visited the large abstract paintings by Hilma af Klint were on exhibit – and introduced me to the powerful works by a female Swedish artist that my art history coursework never mentioned. One of three Smithsonian facilities in NYC, The Copper Hewitt is devoted to historical and contemporary design. Housed in the Andrew Carnegie Mansion, the museum’s collection holds objects like a chair used by Abraham Lincoln, Art Deco furniture, and richly patterned wallpaper. This museum sheds light on the design behind everyday objects. This smaller museum on the Upper East Side is devoted to showing the work of German and Austrian artists created between 1890 and 1940. 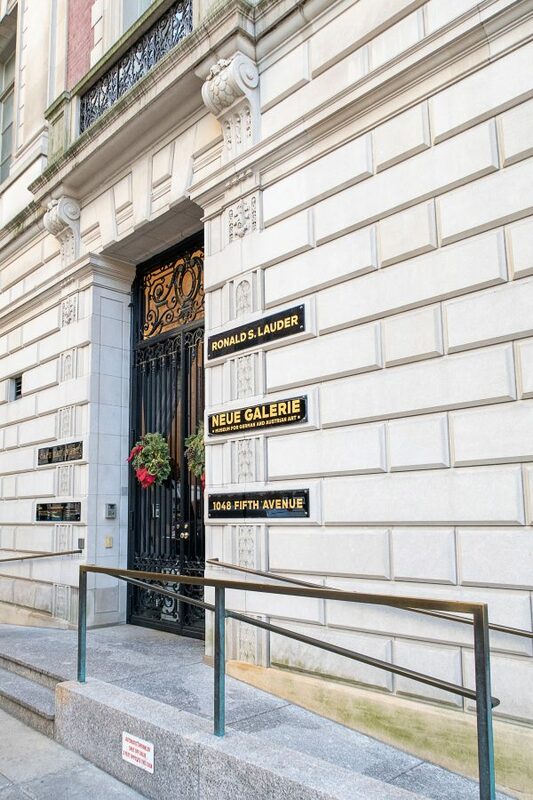 The Neue Galerie is most well known for its collection of works by Gustav Klimt, including the portrait of Adele Bloch-Bauer which was the subject of the film The Woman in Gold. 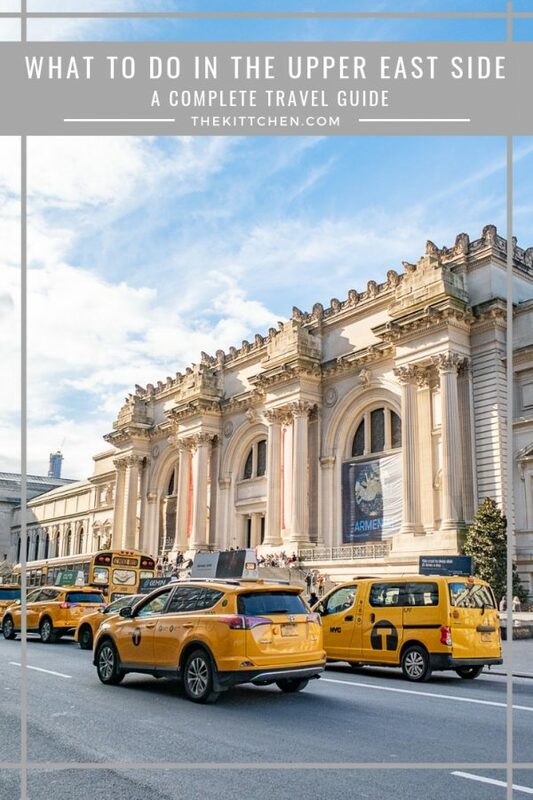 The Museum of the City of New York is a museum dedicated to displaying exhibition that bring parts of New York City’s history of life. I love this museum because it’s exhibitions tend to teach me more about things I already loved. For example, a exhibition about Corduroy, one of my favorite books when I was a child is on view. The main exhibition on view tackles telling the 400 year history of New York City. This museum succeeds at making history feel relevant and connected to visitors lives. When compared to the other museums on this list, MCNY is more kid friendly. 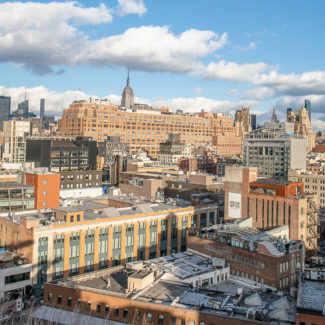 It’s technically in East Harlem, but it is part of Museum Mile, so it makes sense to mention it on this list of things to do in the Upper East Side. Located south of Museum Mile on the corner of 70th Street and 5th Avenue, The Frick Collection houses the collection of Henry Clay Frick in his former home. 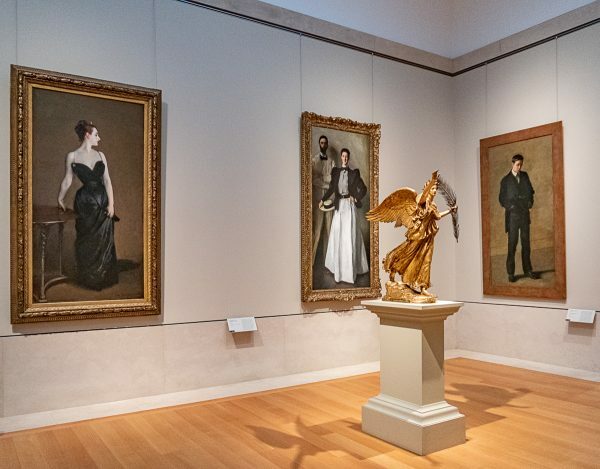 Visitors gain a glimpse into the lives of the wealthiest New Yorkers of the past, and demonstrates how art was displayed in a private home alongside furniture and other interior design elements. Highlights of the collection include three paintings by Johannes Vermeer, Officer with a Laughing Girl, Girl Interrupted at Her Music, and Mistress and Maid. Just 34 paintings were created by the artist, and one is missing. You can see five more at The Met. The Frick also holds a large collection of paintings and drawings by Rembrandt van Rijn. 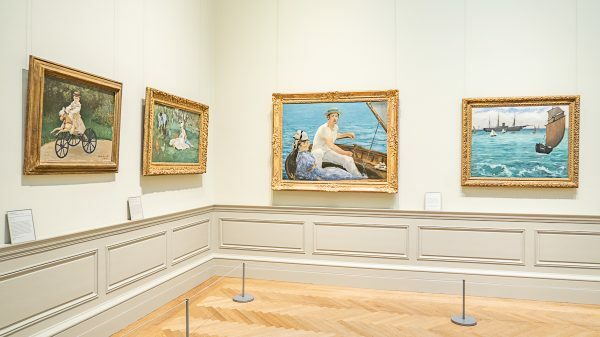 While The Frick may be smaller in size than some of the other museums in New York City, it’s collection is remarkable and worth seeing – especially since the museum tends to be less crowded. 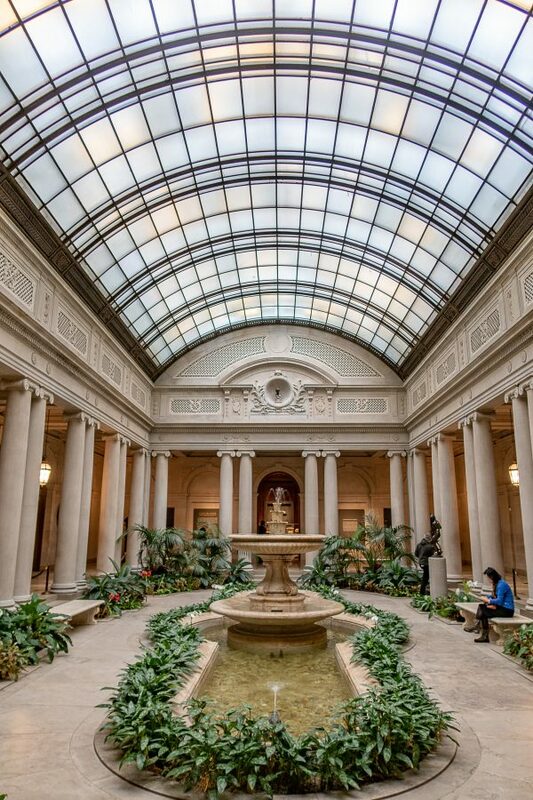 In addition to the permanent collection, The Frick also host special exhibitions. Just down the street from The Frick Collection, Asia Society’s mission is to educate the world about Asia. Asia Society hosts art exhibitions, and talks that tackle topics like economics and politics. The Jewish Museum brings art and Jewish culture together in a grand mansion once occupied by the Warburg family. Highlights of the collection include works by Andy Warhol, Man Ray, Marc Chagall, and Alfred Stieglitz. The museum also hosts an annual film festival, and an exhibition examining the life and work of Leonard Cohen is coming in April 2019. Plus, the museum is home to a Russ & Daughters restaurant. 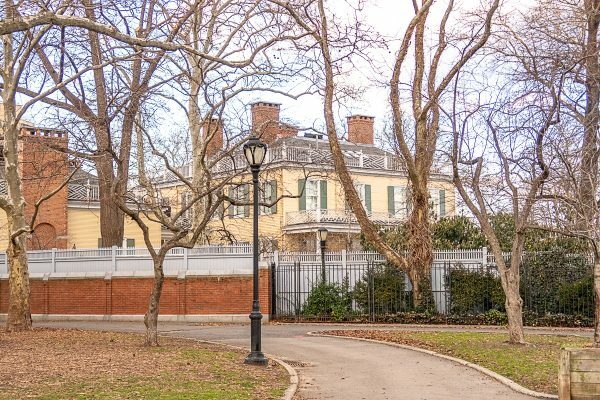 Gracie Mansion is the last of the grand country-style estates that used the line the East River, and the official residence of the Mayor of New York City. It is located within Carl Schurz Park and is worth seeking out. There are limited tours of the home offered to the public, and I loved getting the chance to visit when I was studying in NYC. 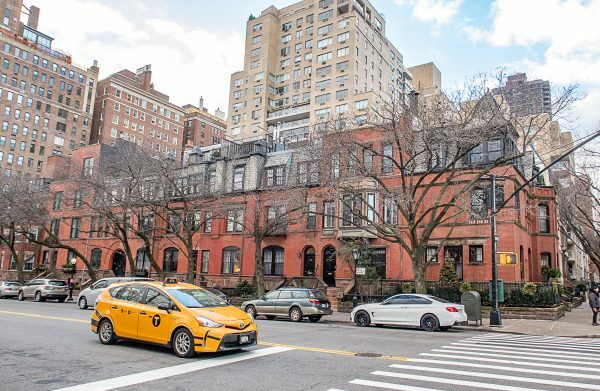 Henderson Place is a historical district made up of a small group of Queen Anne style townhomes occupying the space along East End between 86th Street and 87th Street. Even though these four-story townhomes sell for several million dollars today, when the homes were built in 1882 they were made for working class families. Central Park marks the western boundary for the Upper East Side neighborhood. The East side of the park is where you can find the Wollman Ice Skating Rink, The Pond, and the Alice in Wonderland sculptures. 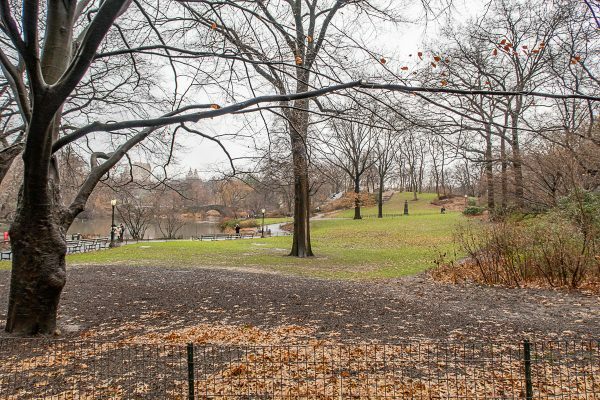 While in Central Park, you might want to search for the famous mandarin duck that lives in The Pond. 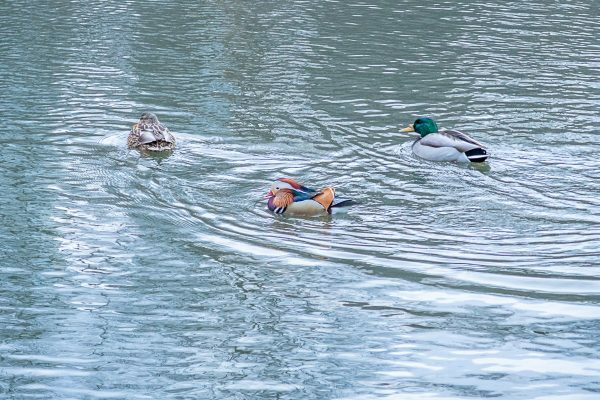 The duck appeared in the park in late 2018, and it lives with the mallard ducks. The duck has become an interest sensation that draws birdwatchers to the park. Located on the lower east side of Central Park, the Central Park Zoo is a small zoo where you can find species like red pandas, snow monkeys, and puffins. 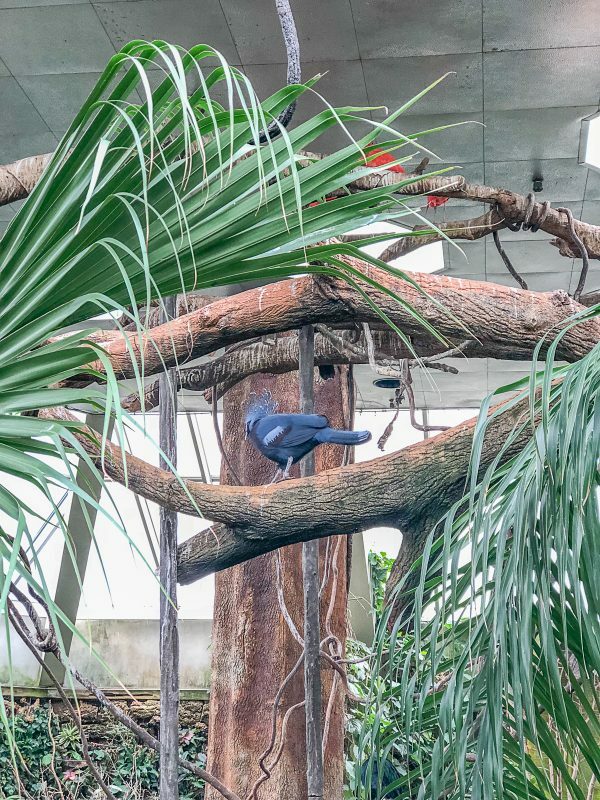 Much of the zoo is located outdoors, so you might not want to do this on a cold or rainy day. 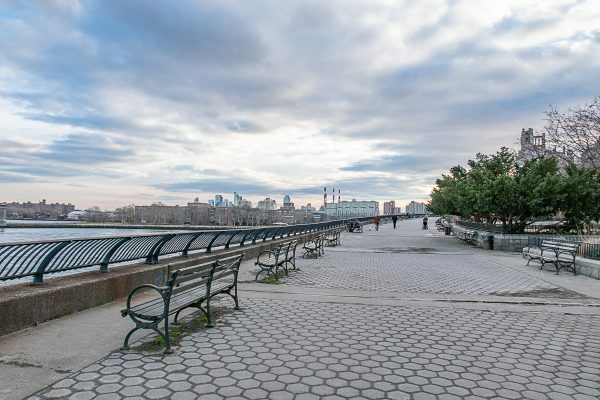 This park runs along the East River and is a place where locals run and walk their dogs. It’s isn’t a tourist destination like Central Park, but it is a lovely place for a walk or a picnic. 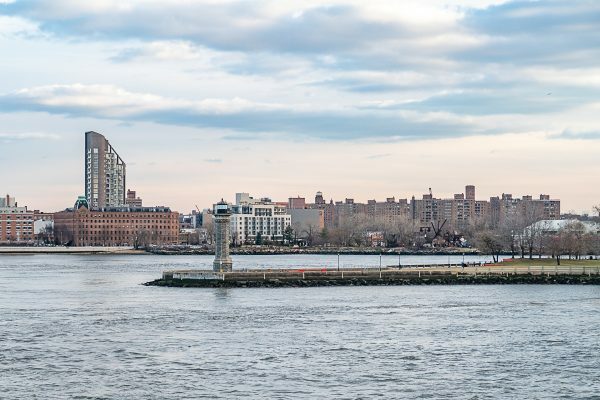 You can also view the Roosevelt Island Lighthouse (official name: Blackwell Island Lighthouse) from the park. Roosevelt Island is a thin island that sits in the East River just beside the Upper East Side. 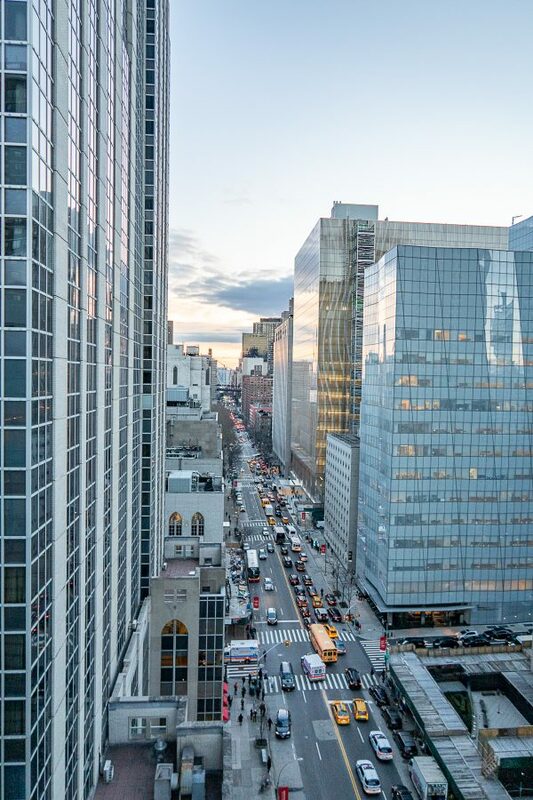 The Roosevelt Island tram starts at 60th Street and 2nd Avenue and runs to Roosevelt Island, and offers riders an incredible view of the city. 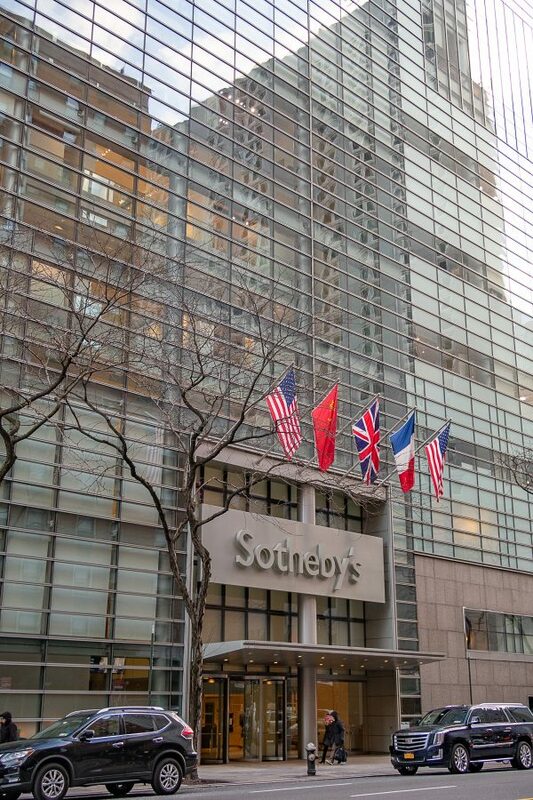 I went to graduate school at this Upper East Side auction house, and the thing that you might not know about Sotheby’s is that it is free to view the exhibitions previews that display the art being auctioned. I recommend trying to see the preview for the Impressionist and Modern Art Sale, although the exhibitions change frequently. Another bit of insider knowledge is that the cafe on the 10th floor has great food, rooftop access, and lovely views. The Bloomingdales flagship on 59th Street is a NYC icon, and one of my favorite things to do on the Upper East Side. Inside you will find a massive selection of clothing and home items. If you need a snack, there is a Magnolia Bakery location inside. I will let you in on a secret, Bloomingdales is also the best place to use the bathroom. They are nicer than Starbucks and usually don’t have a line. The shopping in the Upper East Side is seriously good. 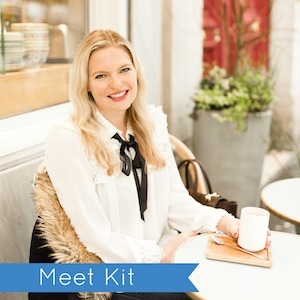 You will find high end designers like Kate Spade, Chanel, Barneys, Christian Louboutin, and Hermes, alongside more affordable spots like Flying Tiger Copenhagen, Madewell, and J.Crew. The Upper East Side is filled with restaurants that serve up cuisine from all over the world. My sister has lived in the neighborhood for 10 years and she helped me compile this list of where to eat on the Upper East Side. Don’t let the name of this diner confuse you. 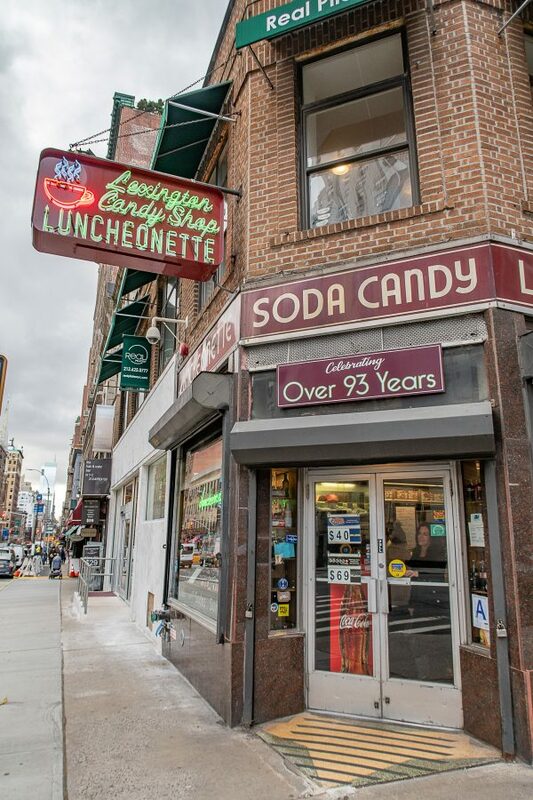 The Lexington Candy Shop is New York City’s oldest family owned luncheonette. It has been in business since 1925, and when you walk through the doors you step back in time. they have counter service and are known for this milkshakes, burgers, tuna melts, and egg creams. My sister and I love this Thai restaurant – they have amazing Pad Thai and I love their curry puffs. It doesn’t look like much from the outside, but it is surprisingly nice on the inside. This sushi spot has three Manhattan locations, including one on 1st Avenue between 62nd and 63rd. The restaurant serves noodles and meat mains for people who aren’t into sushi, and they do take reservations. One of the most well known restaurants on the Upper East Side, JG Melon is a cash-only restaurant known for their burgers. The restaurant has been around since 1972, and former NYC Mayor Michael Bloomberg says they have the best hamburgers in the world. My sister won’t stop talking about this seafood spot. Their brunch menu puts a fun seafood spin on classic breakfast foods, and the dinner menu has a wide variety of mussels with preparations including white wine, creamy, and tomato, plus some with creative global flavors like Bombay style mussels with Indian curry, garlic, cinnamon, star anise, and white wine. Heads up – the non-mussel seafood options are plentiful, but the non-seafood options are limited to salads and chicken. A neighborhood spot serving up classic Italian food with an emphasis on pasta. The menu is huge, the prices are reasonable, and they take reservations. A grand French restaurant with mahogany paneled walls and Art Nouveau details, Orsay offers a formal dining experience that is still fun. The menu covers all the French classics like French Onion Soup, Escargots, Foie Gras, Tartare, and Streak Frite. This classic New York hotel is a great place for Afternoon Tea, and it is more affordable than The Plaza. The tea service has all the classics – tea sandwiches, fresh scones, and delicate pastries. Heads up, there is a dress code, so follow the link to get more info. Open since 1954 and first made famous by famous patrons including Andy Warhol, Marilyn Monroe, and Grace Kelly, and recently made even more famous by the film titled Serendipity, the restaurant is a popular spot for dessert. The menu has a frozen hot chocolate and ice cream sundaes along with savory options like burgers, sandwiches, and omelettes. You can even get some over the top treats, like a $1,000 sundae, a $214 grilled cheese, a $295 burger, or a $69 foot long hot dog. This place is very popular, so take advantage of the fact that they take reservations. There are a few things to clear up here. The name is confusing since this restaurant isn’t in Midtown, it is located on 2nd Avenue at 81st Street, firmly within the Upper East Side. Secondly, the original H&H closed and this newer location has the same name up different owners. It is still considered one of the best places for bagels in the Upper East Side. A beautiful Greek restaurant on the north side of the Upper East Side, Korali Estiatorio focuses its attention on Greek seafood, but there are a plenty of options for meat eaters too. There are two locations of this pizza place on the Upper East Side, and both are an ideal spot for a casual and affordable meal. The menus focus on pizza and classic pasta and meat dishes. Think chicken Parmesan and ricotta and spinach Lasagna. My sister’s go-to spot for ramen, Meijin Ramen has poke bowls and rice dishes in addition to several ramen options. An upscale Mexican restaurant and one of three restaurants by the same owner in Manhattan, Toloache offers a wide menu with classics like guacamole, quesadillas, tacos, enchiladas, and ceviche plus modern creative dishes like salmon with a green curry broth, chile, sweet potatoes, mushrooms, and eggplant. They have a vegetarian menu too! A restaurant on 79th Street that has been served an entirely plant-based menu since before it was cool. They serve locally sourced vegan food and their menu makes vegan dining accessible and appealing. Try meals like za’atar roasted cauliflower with kale and pine nut pesto, wild mushroom crepes, and black bean and pumpkin seed burgers. Inspired by restaurants like Elaine’s were writers used to hang out, The Writing Room is decorated with books and has a menu that has classic NYC foods like rotisserie chicken, burgers, steaks, pastas, and several salads. It’s the type of spot where everyone feels welcome and everyone will find something they like on the menu. A French restaurant that focuses on Alsatian food, which is French food with a bit of a German influence. You will find French staples like moles frites, farmhouse chicken, risotto, and steak frites alongside sausages with sauerkraut on the menu. A family owned Italian restaurant, Paola’s is known for their homemade pastas. Just off Museum Mile, this is a convenient stop for lunch or dinner during a day of museum visits. This is the spot for cake. 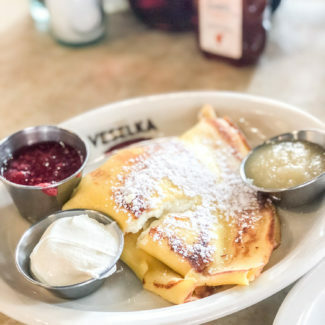 They are famous for their crepe cake, but the menu has plenty of choices including eclairs, tarts, and other offerings for people who don’t need an entire cake. My sister recommends the paninis and the deconstructed tiramisu here. This casual coffee shop/restaurant has a large all day menu with dozens of paninis plus salads and soups. A bakery famous for their black and white cookies, and one of the best Jewish bakeries in NYC. Have you been to the Upper East Side? 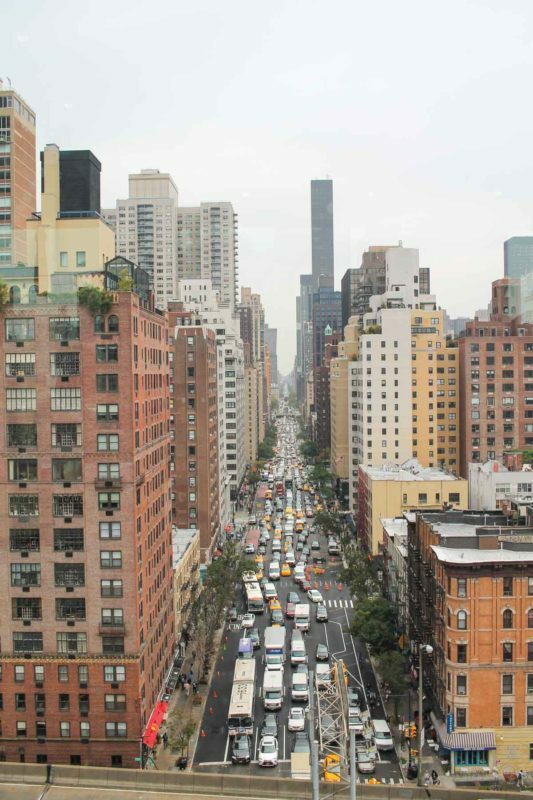 Do you have any favorite things to do in the Upper East Side? Let me know in the comments!